Sometimes I feel like mascara wands are getting odder and odder. I seem to recall that it all started with the Givenchy Phenomen’Eyes. It was a weird ball shaped thing-a-ma-gjig which reminded me a bit of a mini loo brush. Then there are the bevvy of rotating mascara wands which were a huge trend a few years ago to the uber flexi brushes that trended recently. Bizarre and Off Beat mascara wands have that quirky gadget-y feel to them which is why they come across as gimmicky most of the time. Most of them come out with claims like they get right into the lash line, coat every lash or help hold a curl. Sometimes I think the beauty world can't get any weirder… But it does. Heres my take on the more unusual wands from the beauty world. 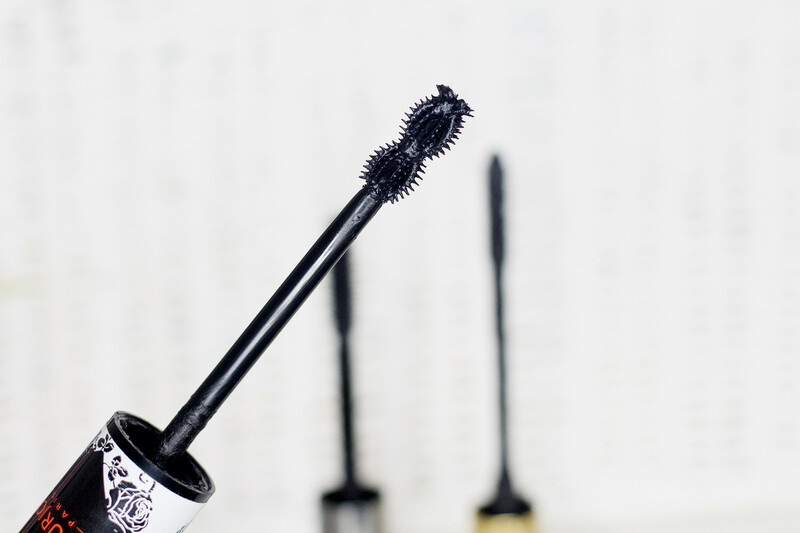 The Bourjois Beauty'ful Volume Dark Kohl mascara has a unique stubby hourglass shape, which isn’t that weird but it does remind me of a Ye Old mace. Dark Kohl has a excellent formula which is super black and non flakey. The brush helps coat upper lashes with ease but when it comes to lower lashes I seem to struggle a bit. The ball like end makes it quite awkward to add products without it ending up under your eyes. I’ve not tried it but the Avon Mega Effects Mascara which has a brush that looks like a paint roller for your eyes. You’re supposed to rock the brush backwards and forwards and bend depending on the best angle for you. Maybe I should give it a go in the name of blog reviews - but frankly this is the oddest looking mascara I’ve come across. I’ve seen mixed reviews on this one so the jury is still out there for me!